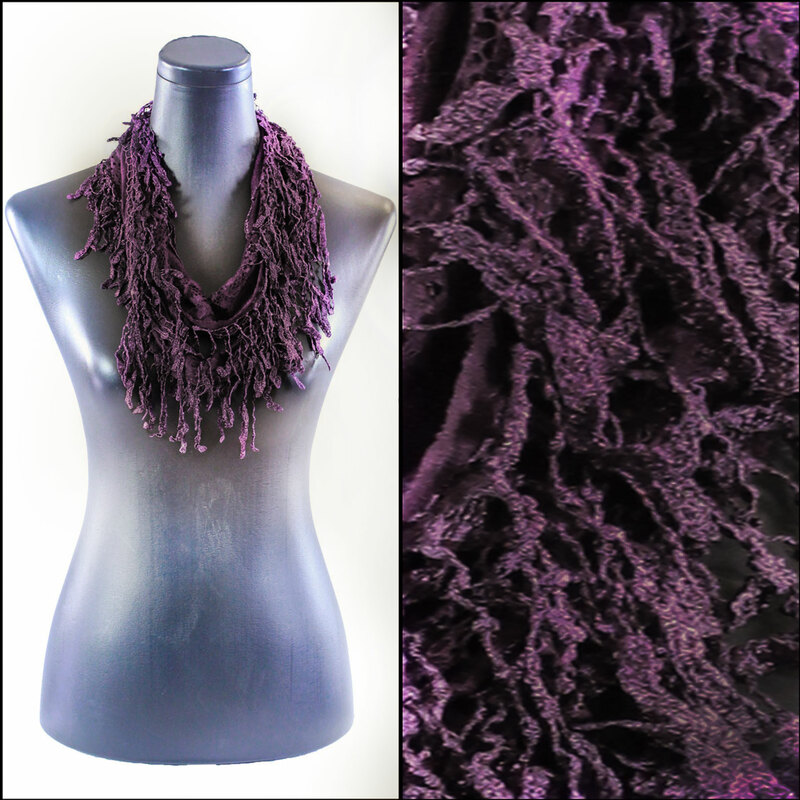 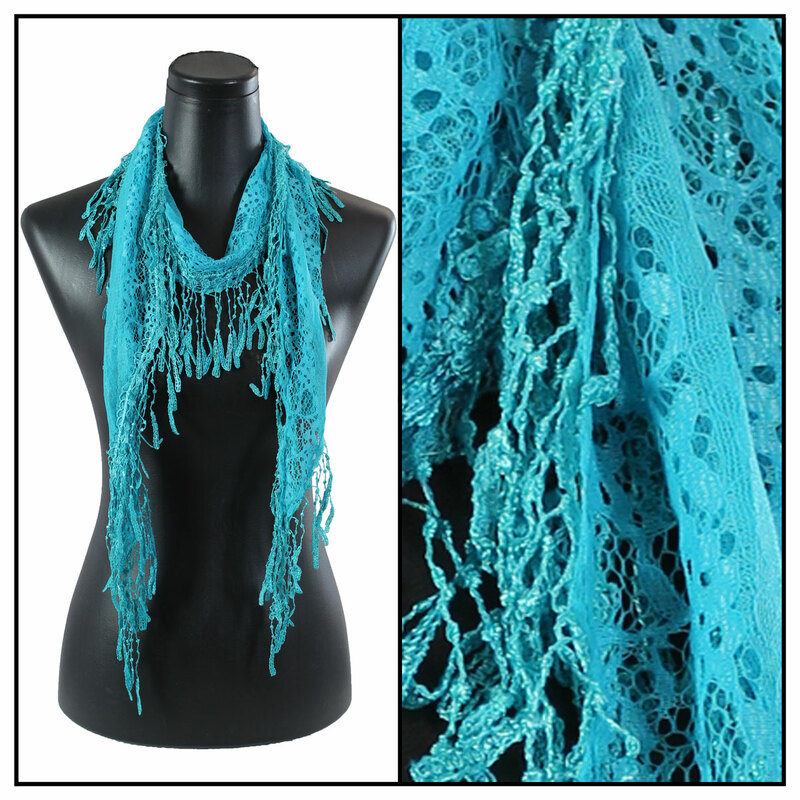 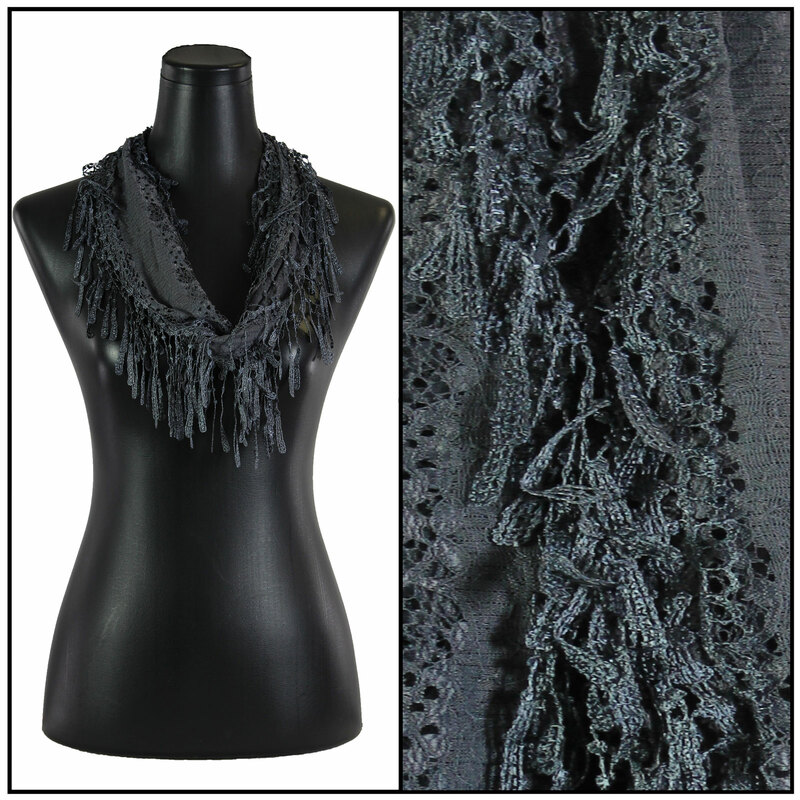 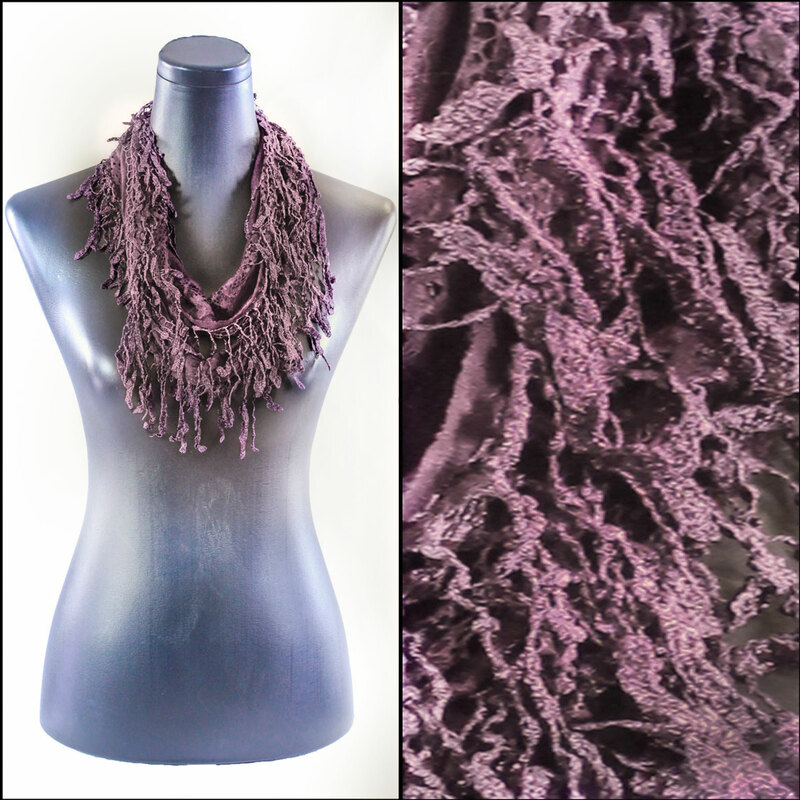 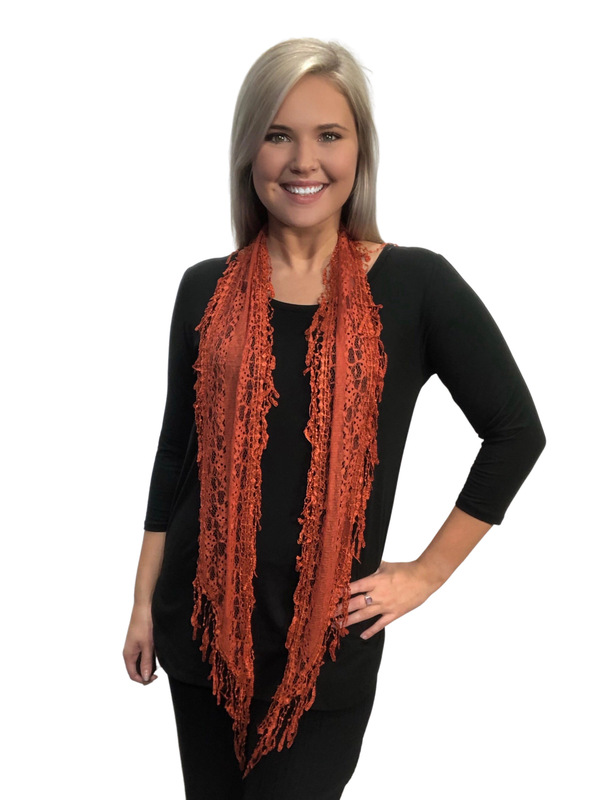 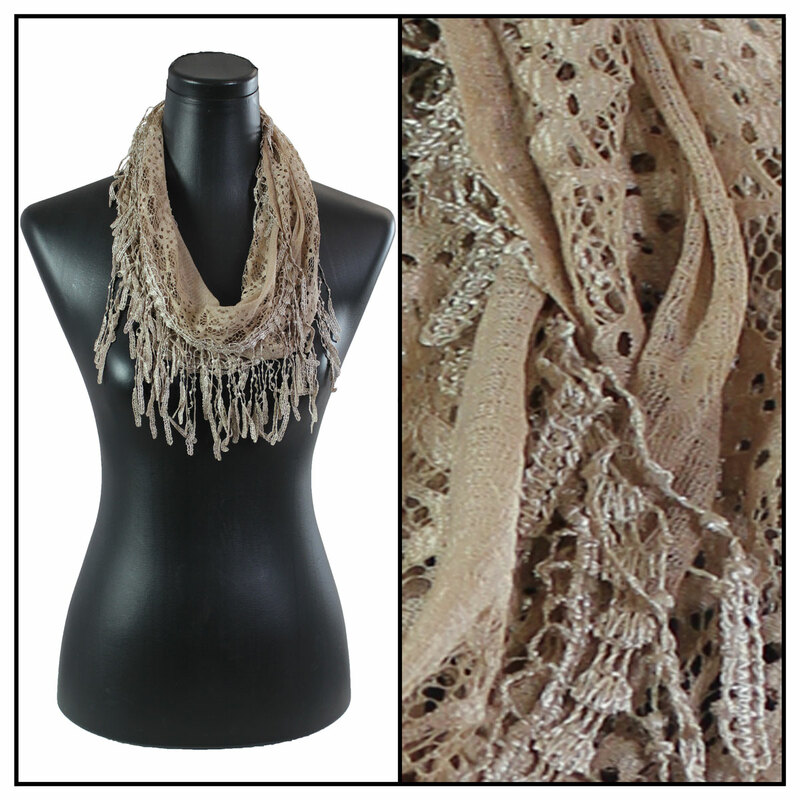 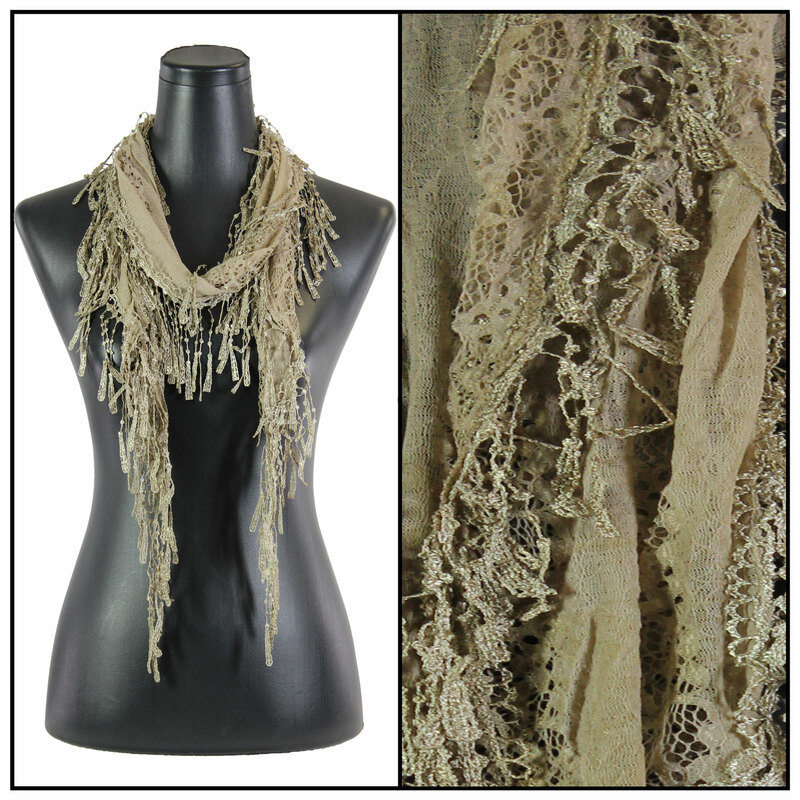 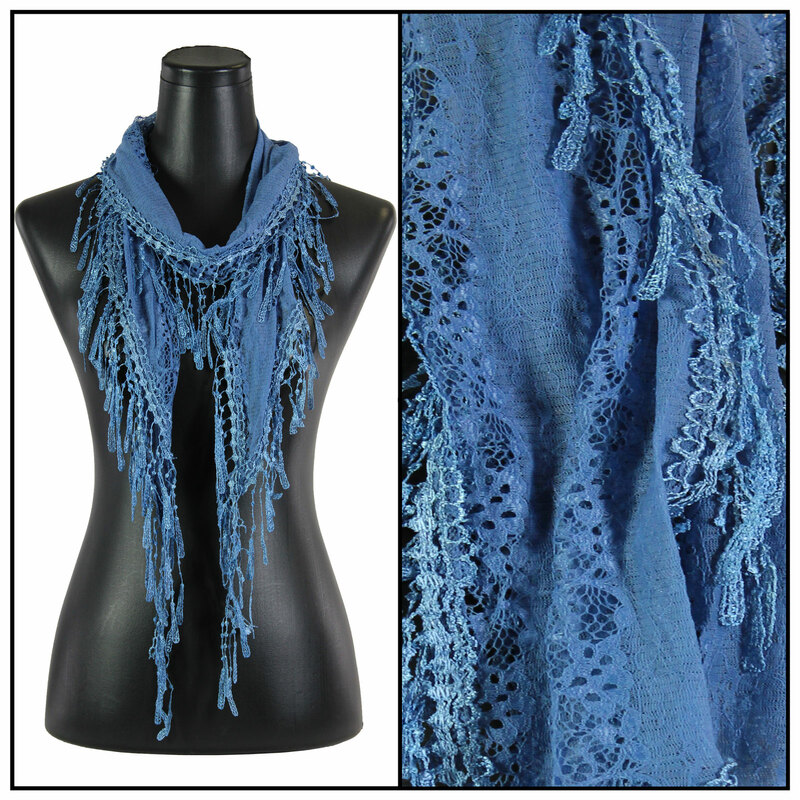 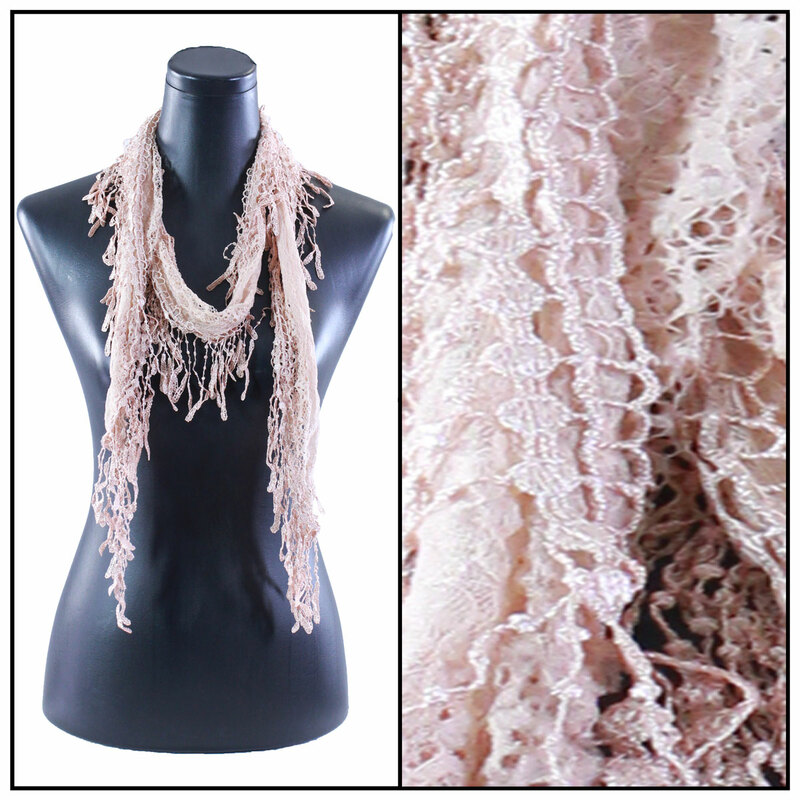 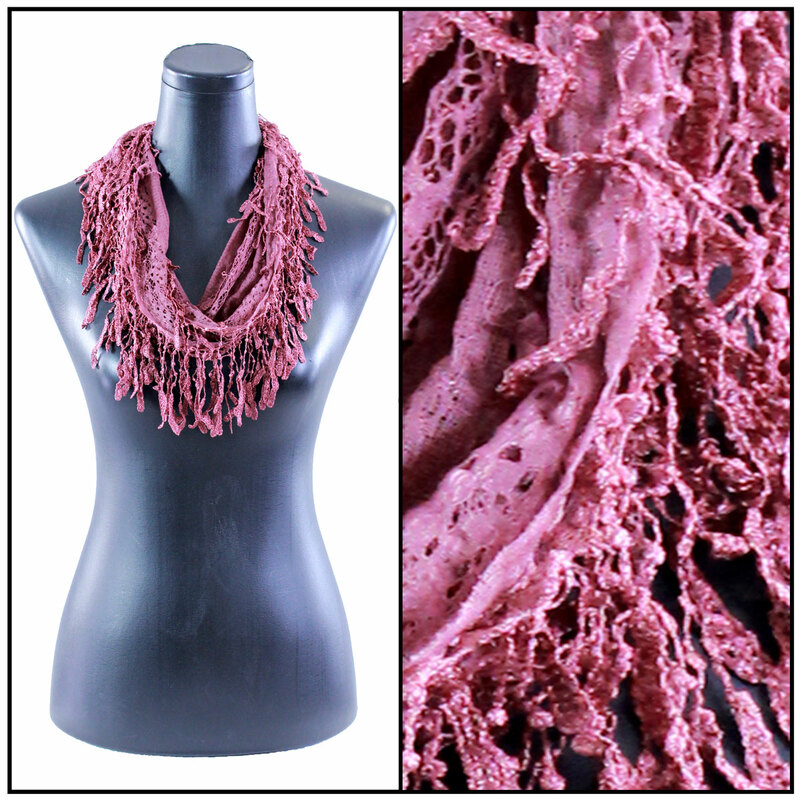 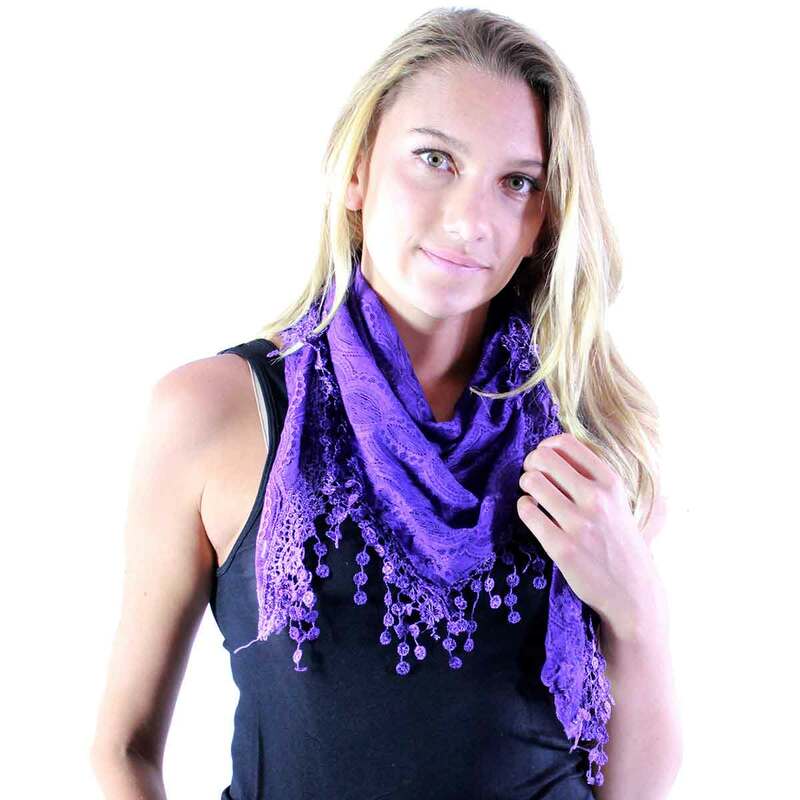 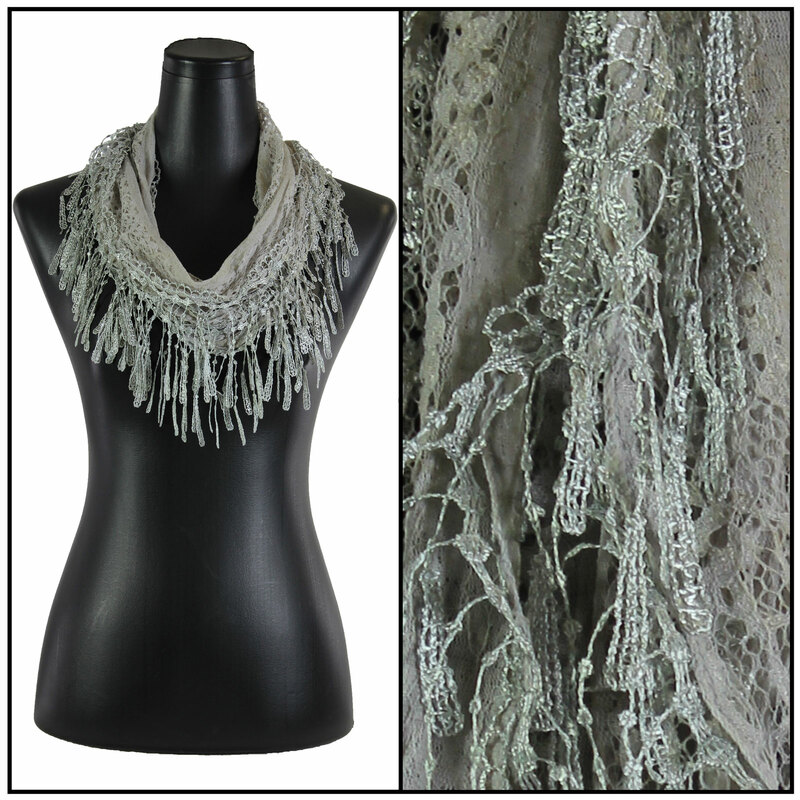 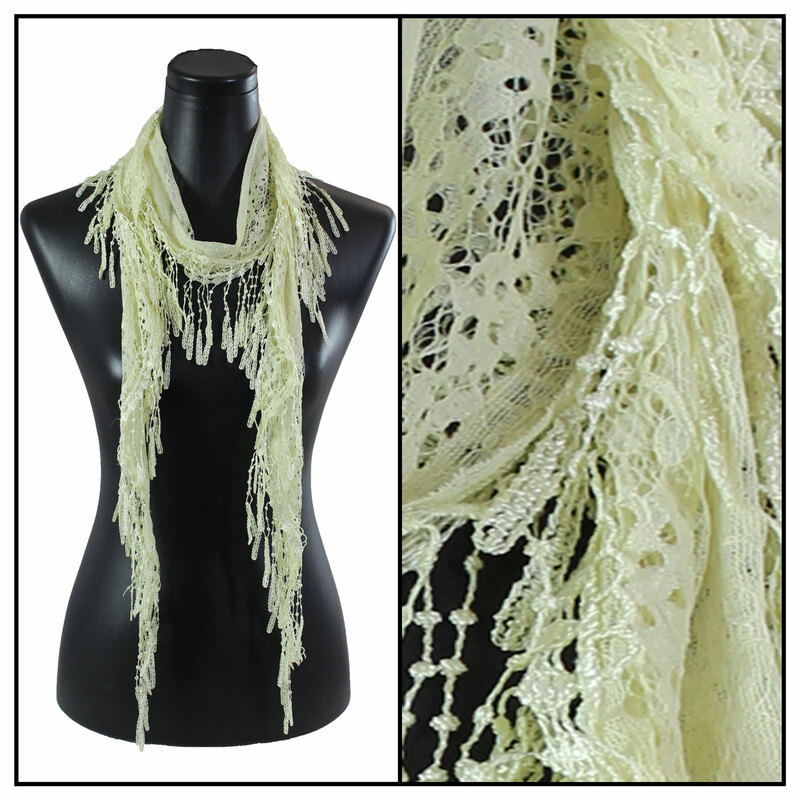 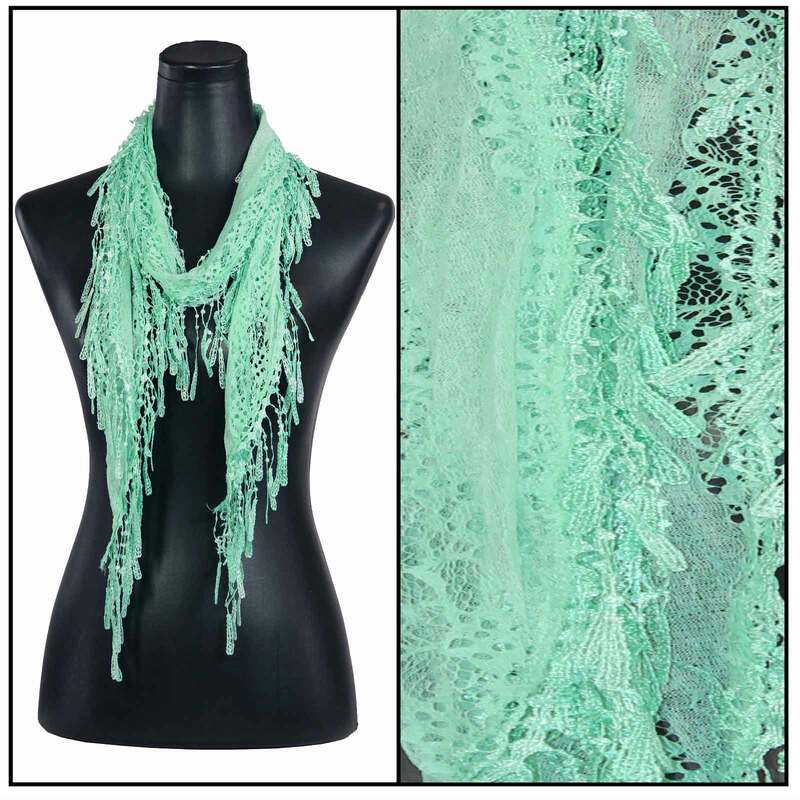 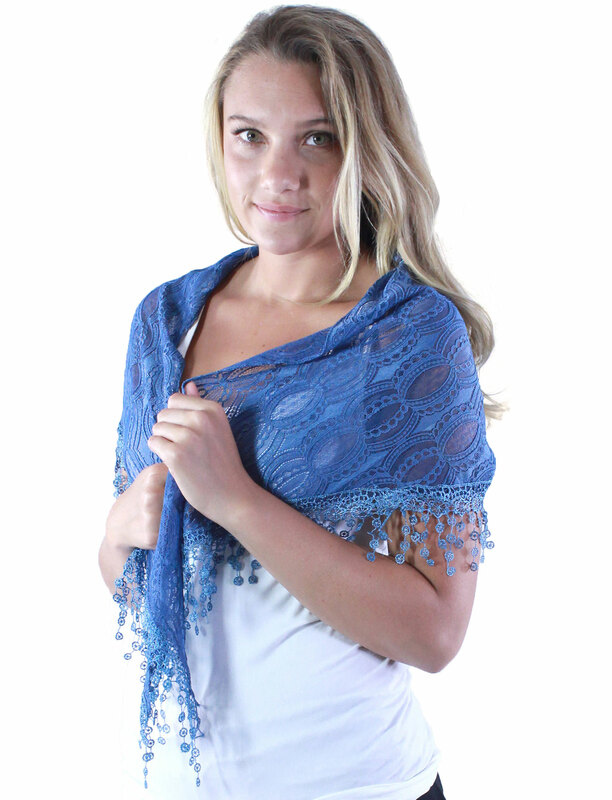 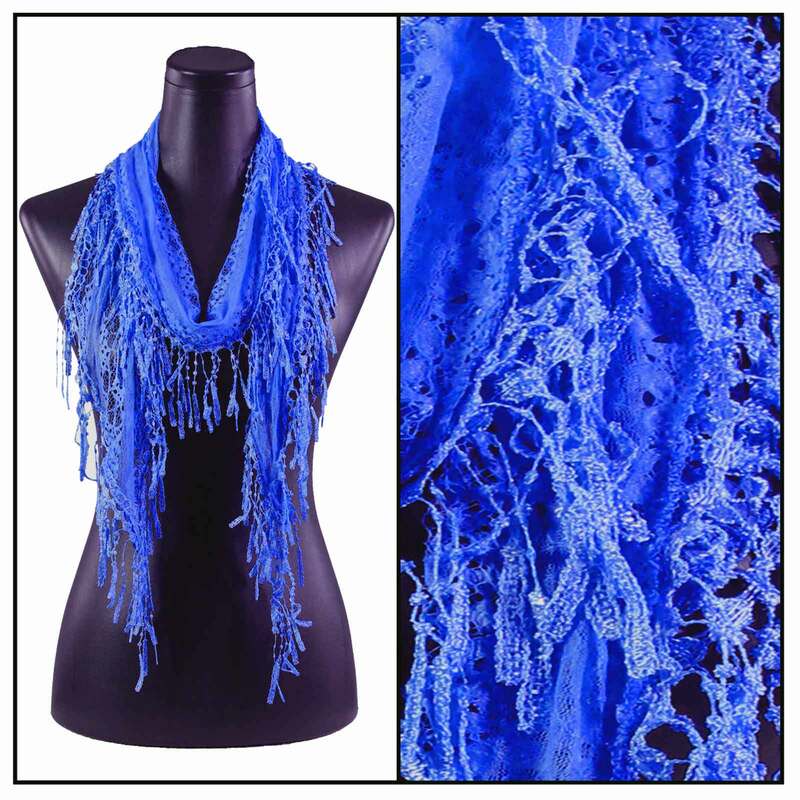 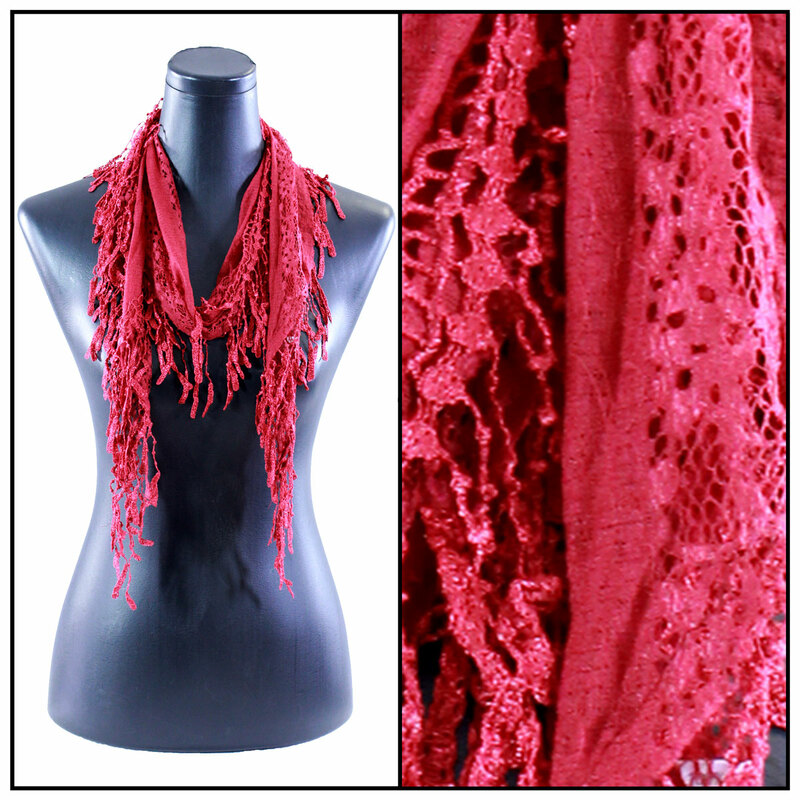 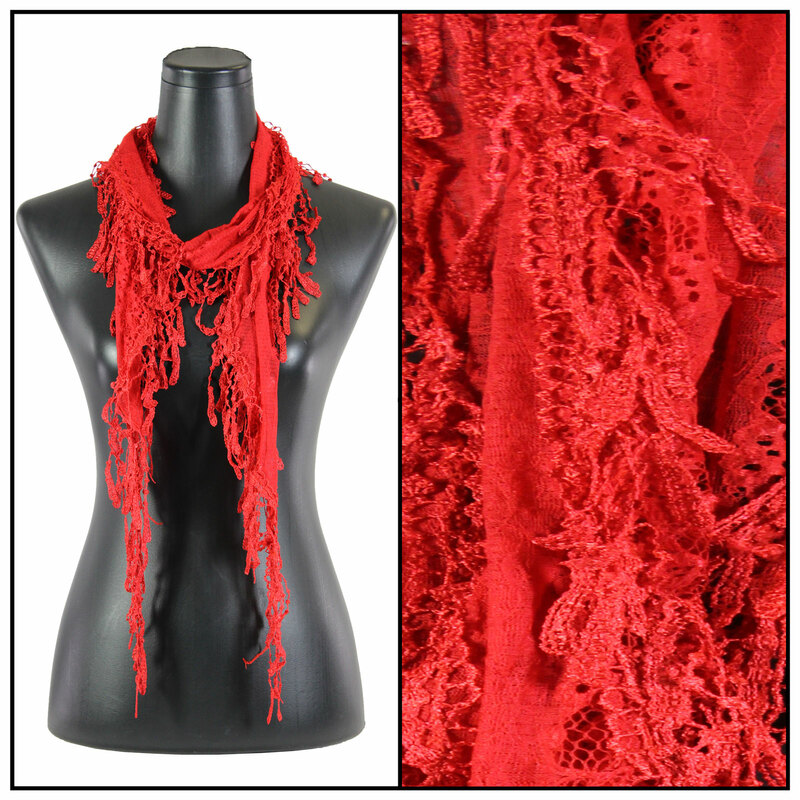 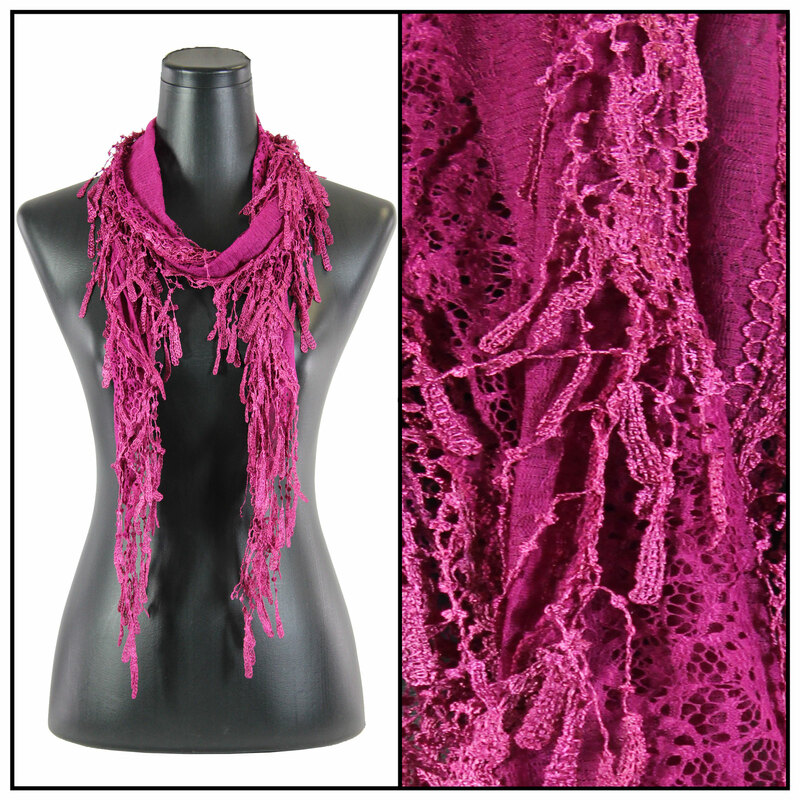 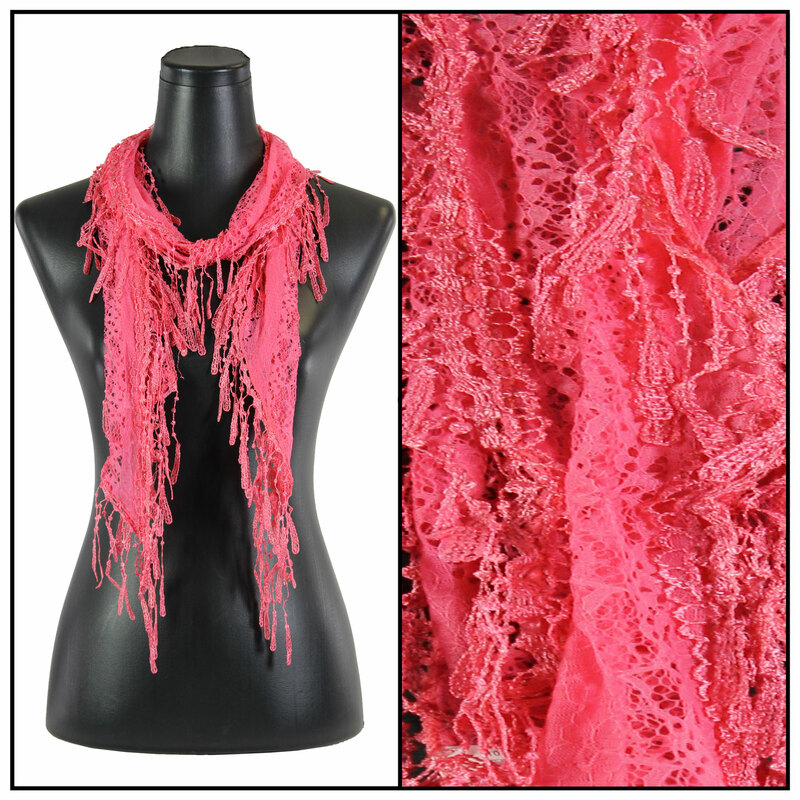 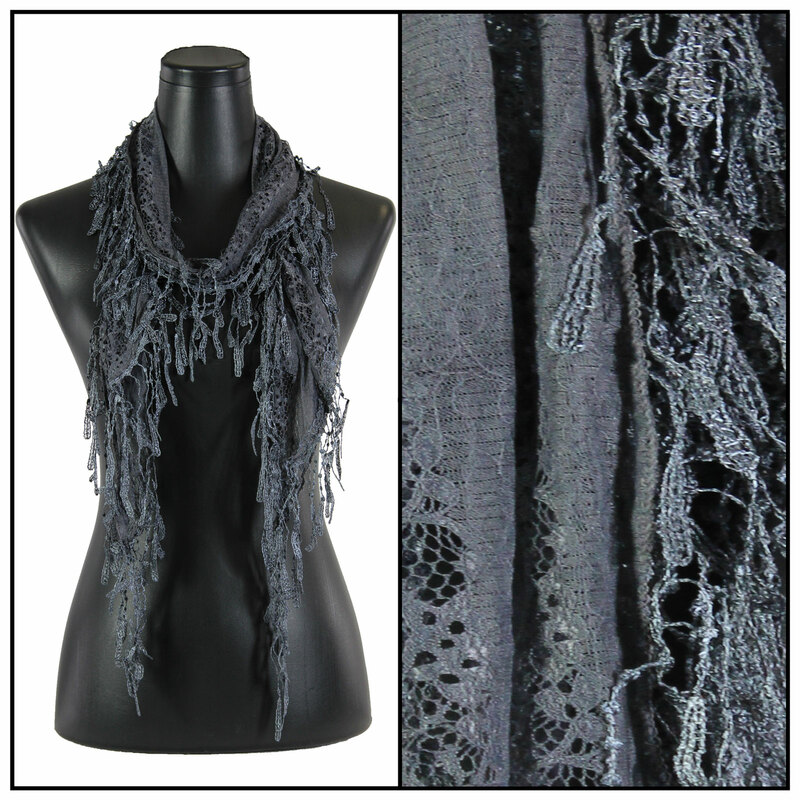 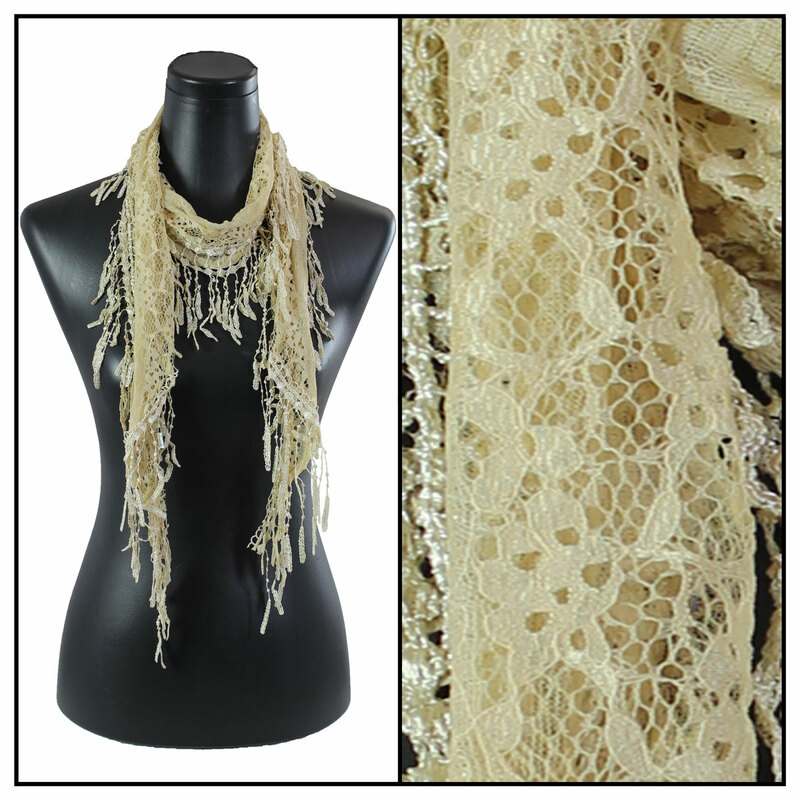 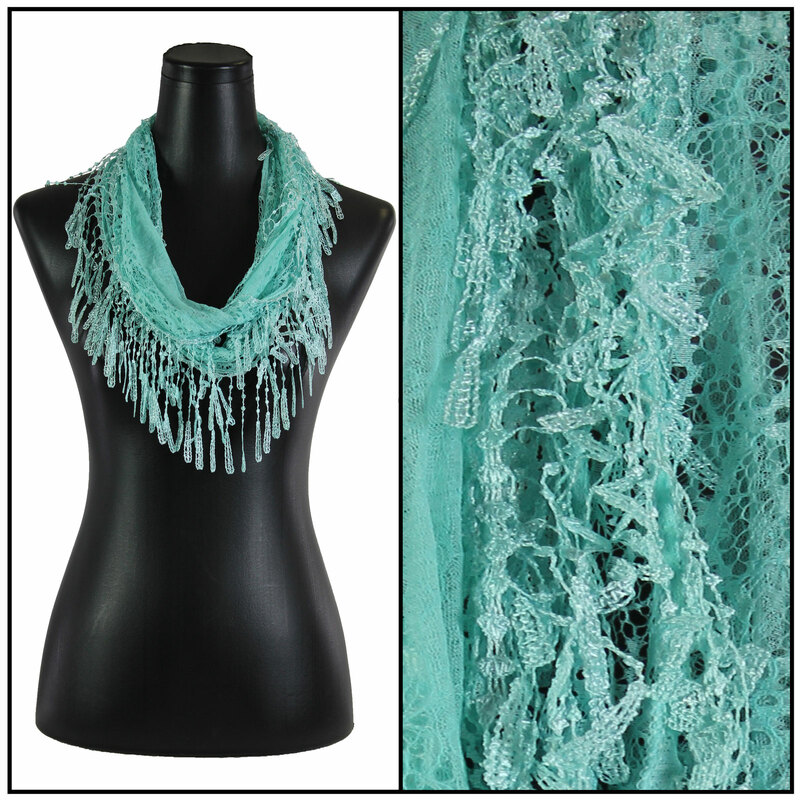 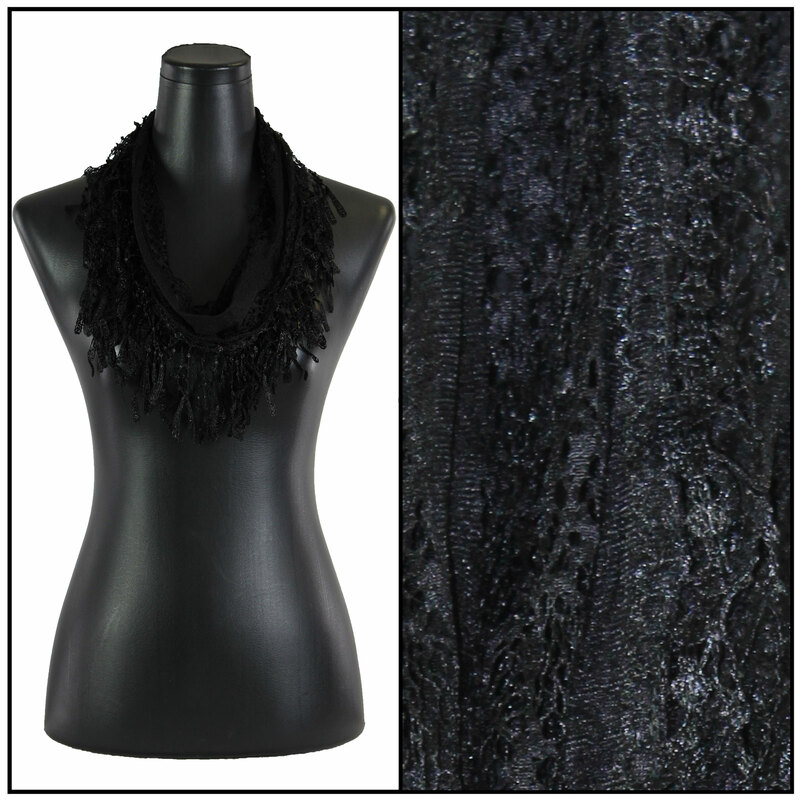 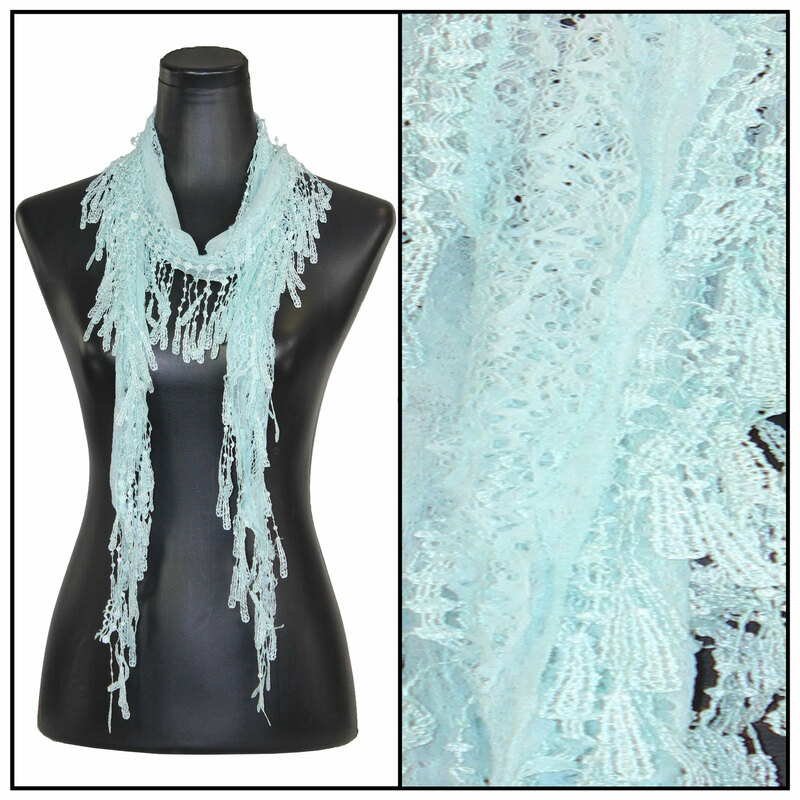 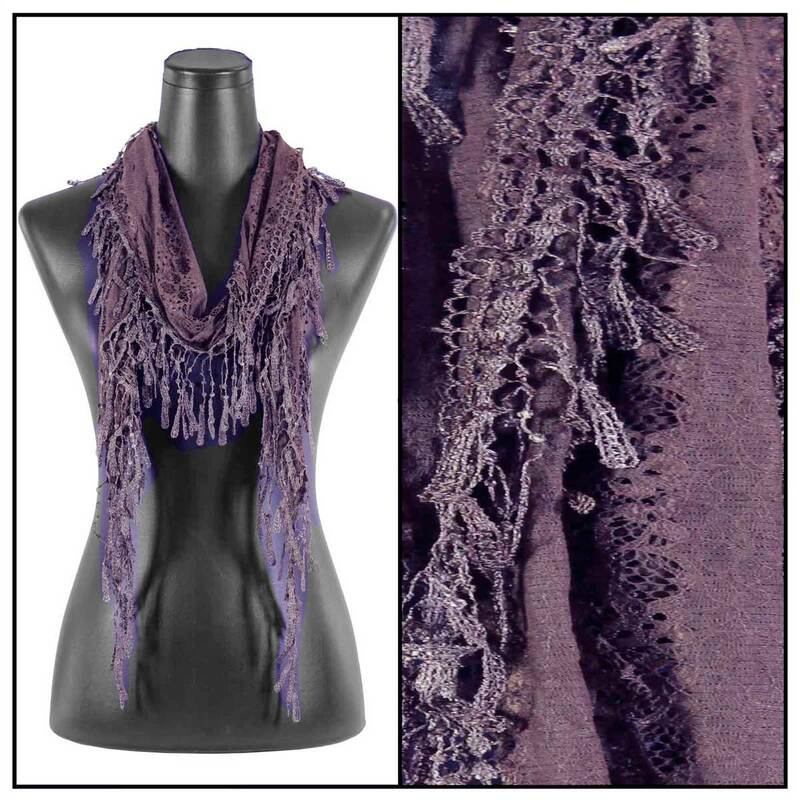 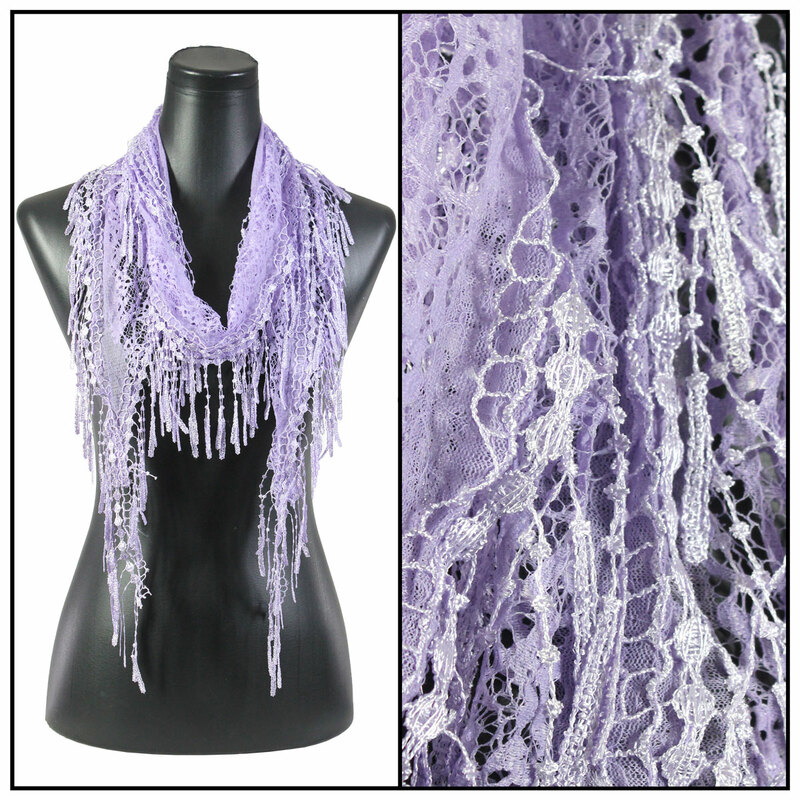 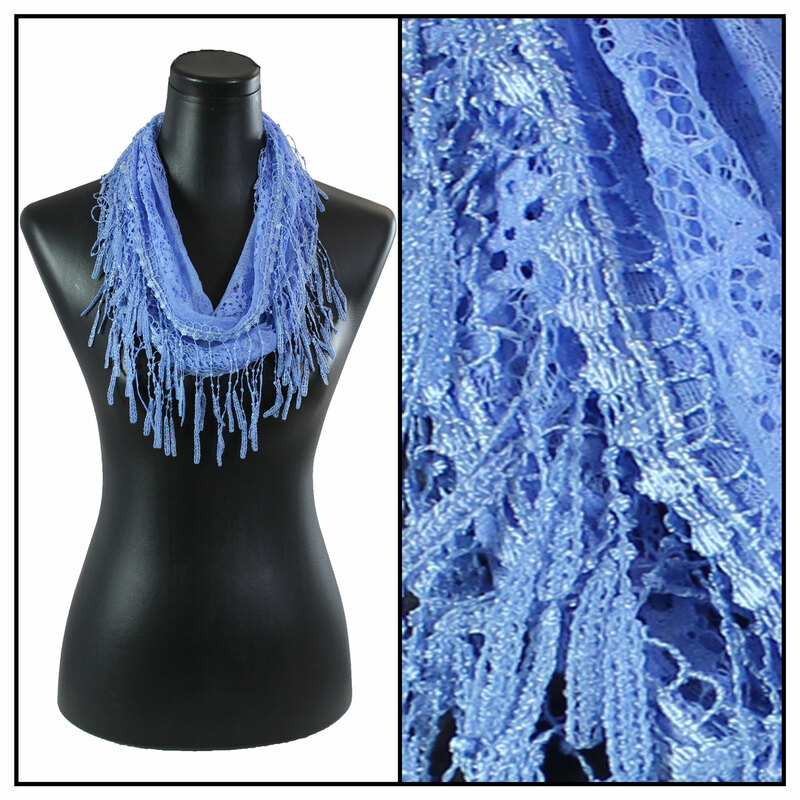 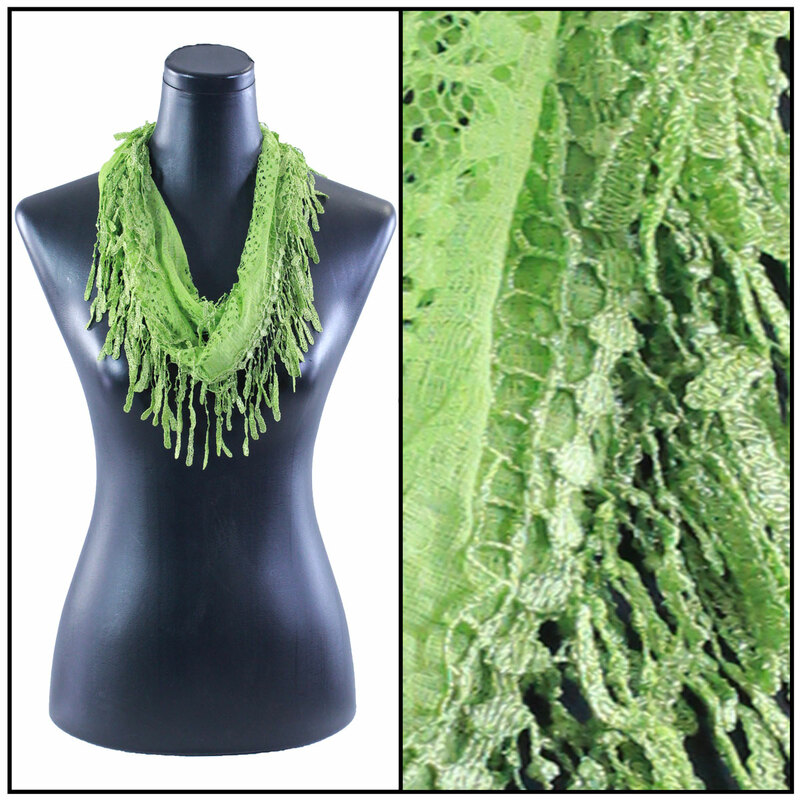 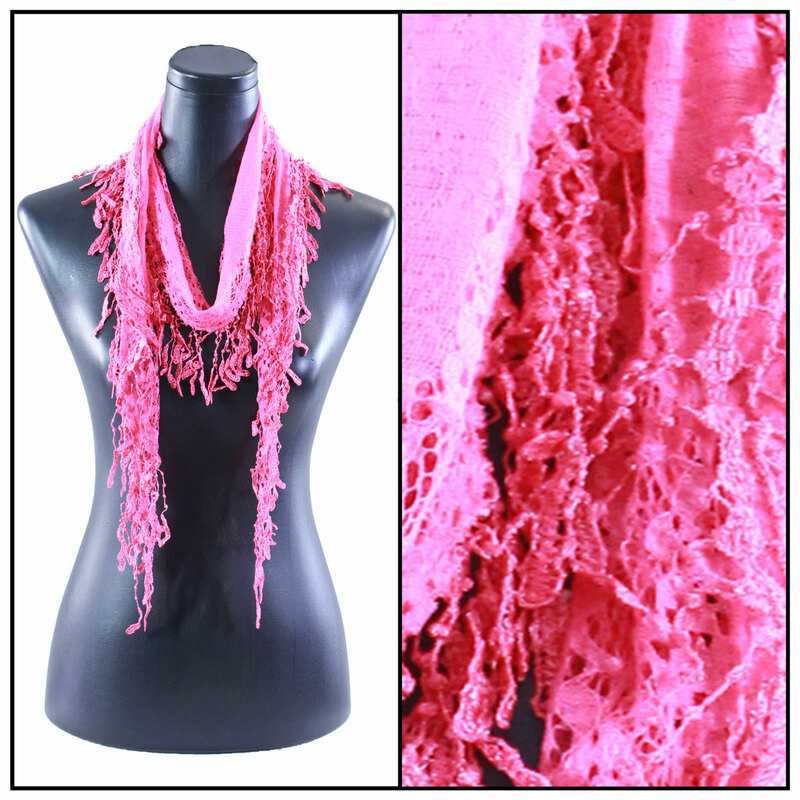 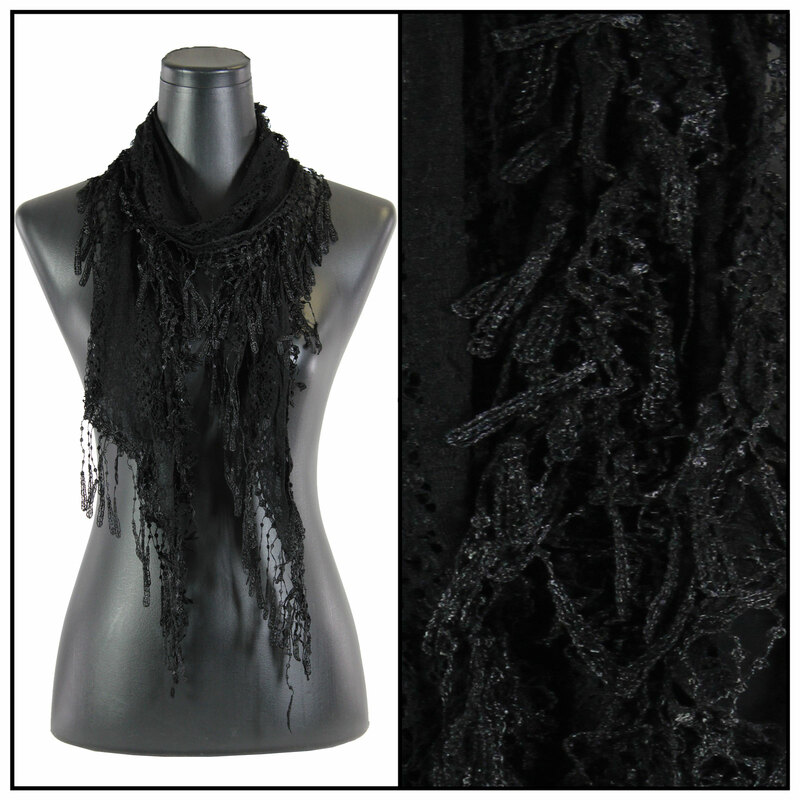 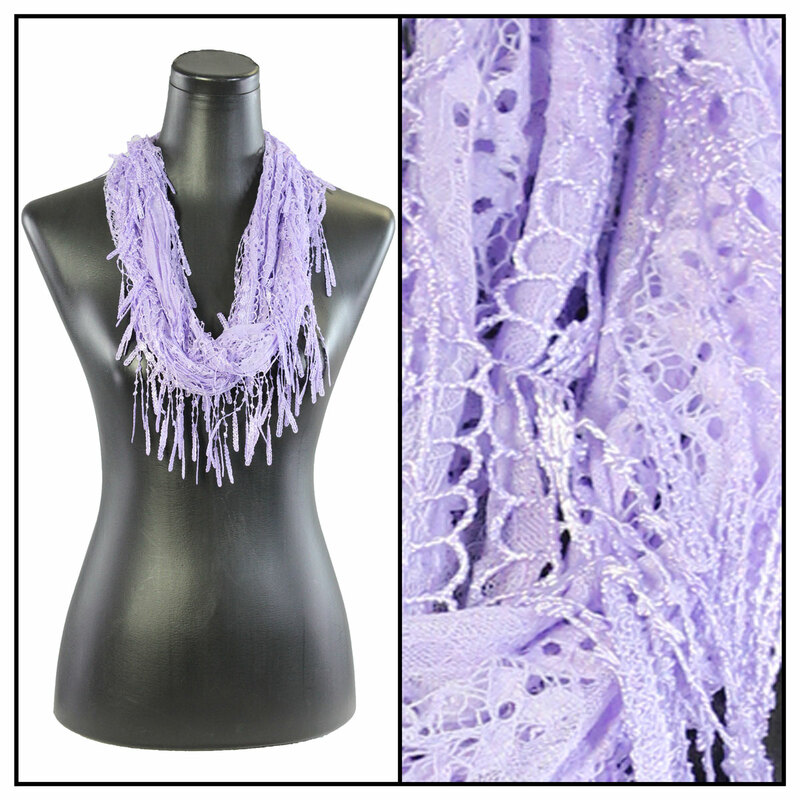 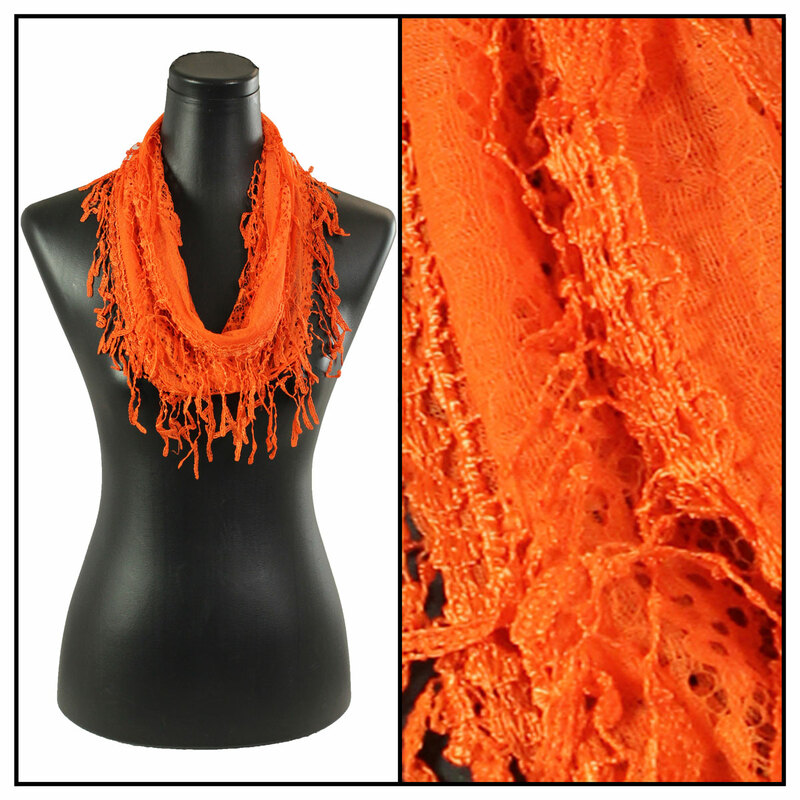 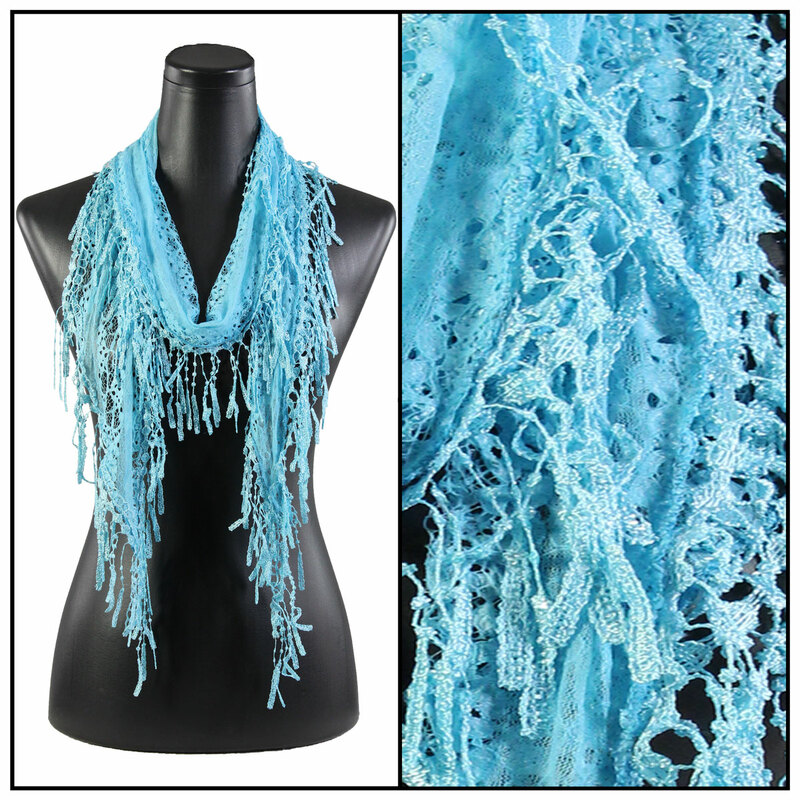 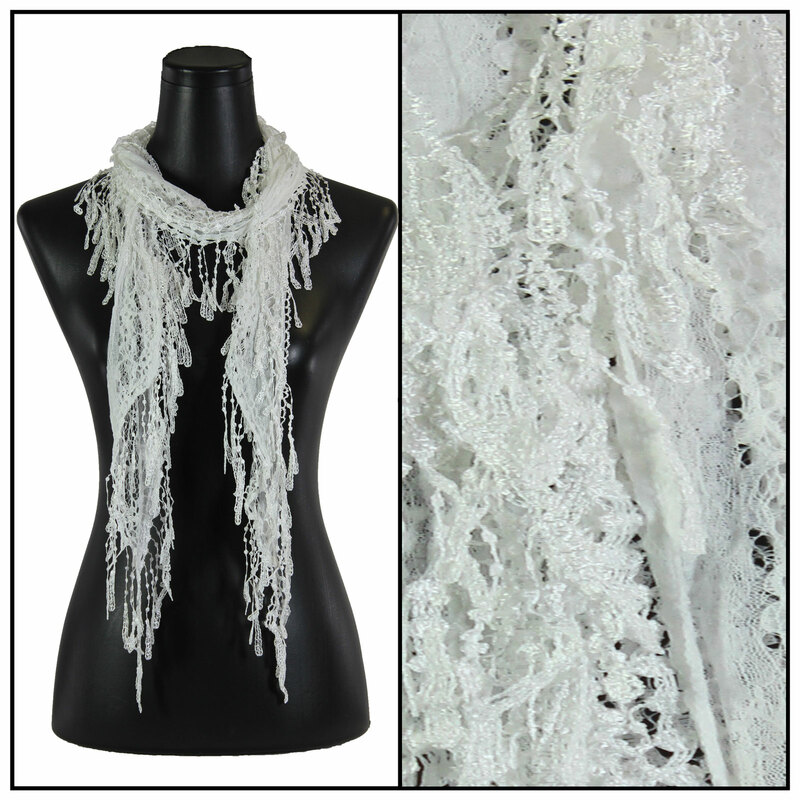 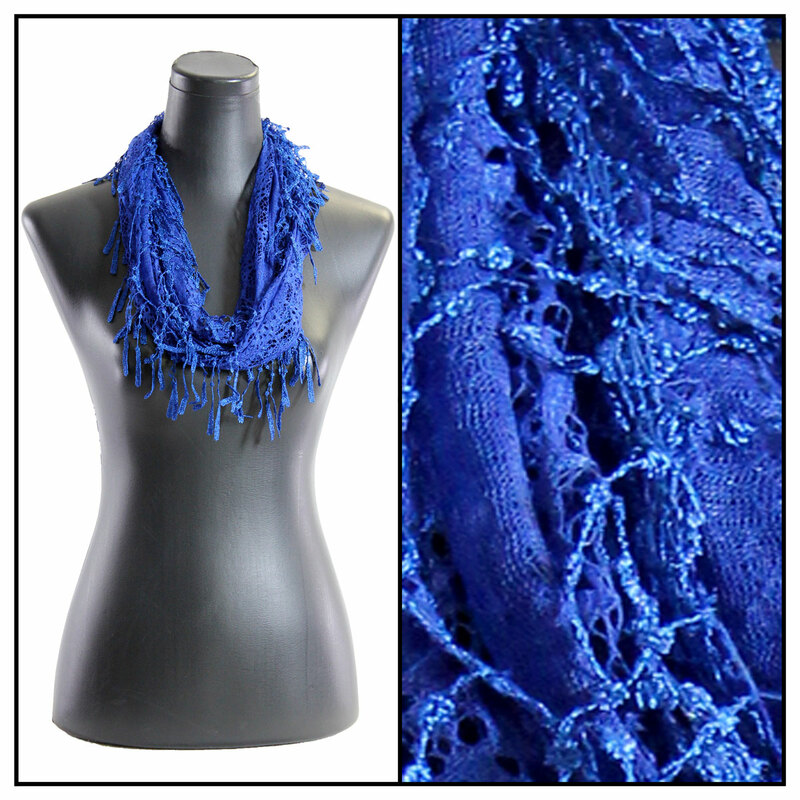 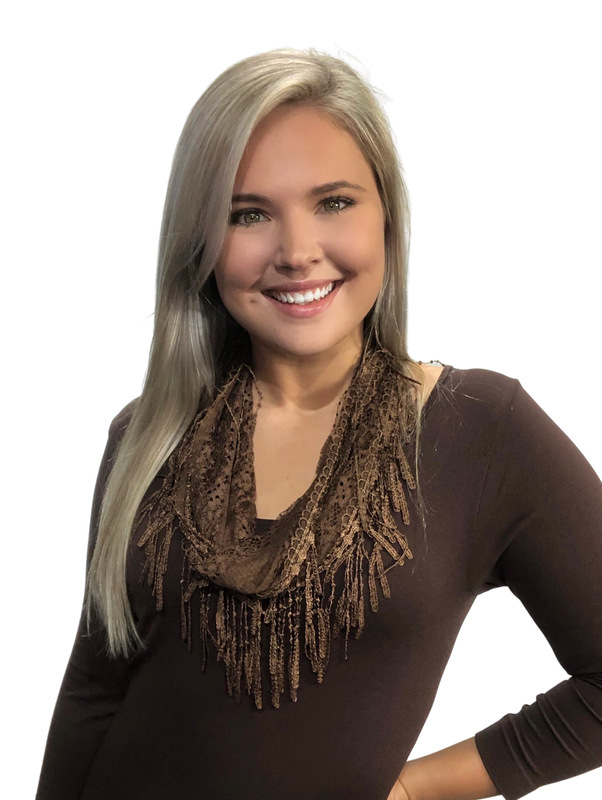 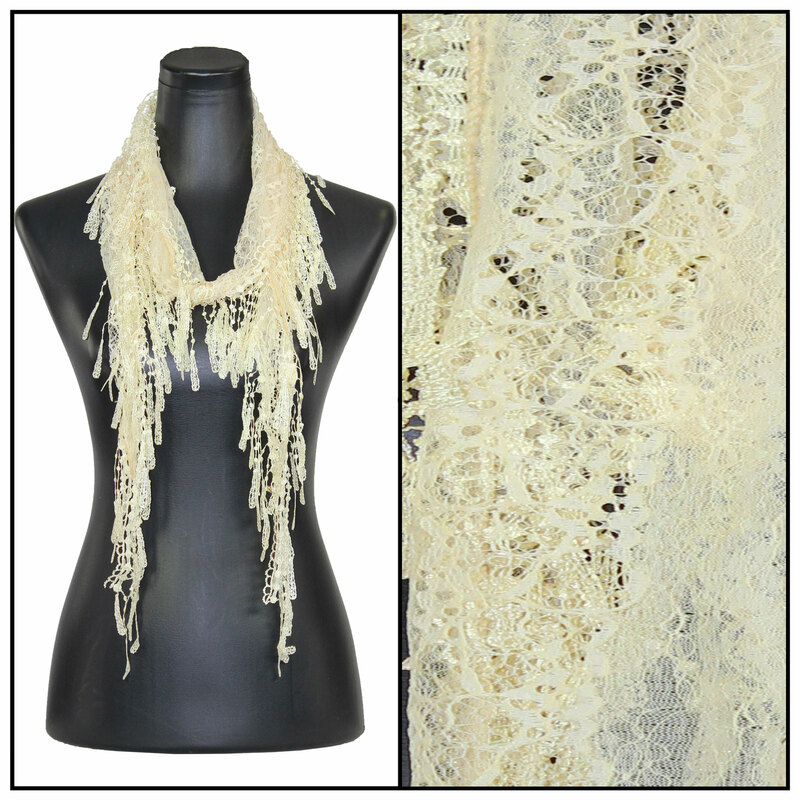 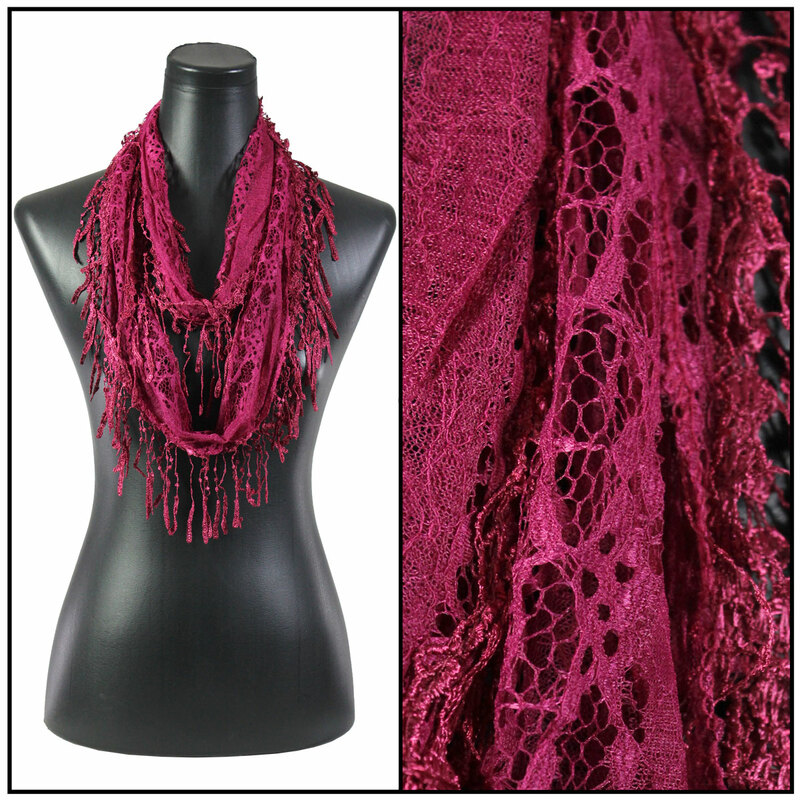 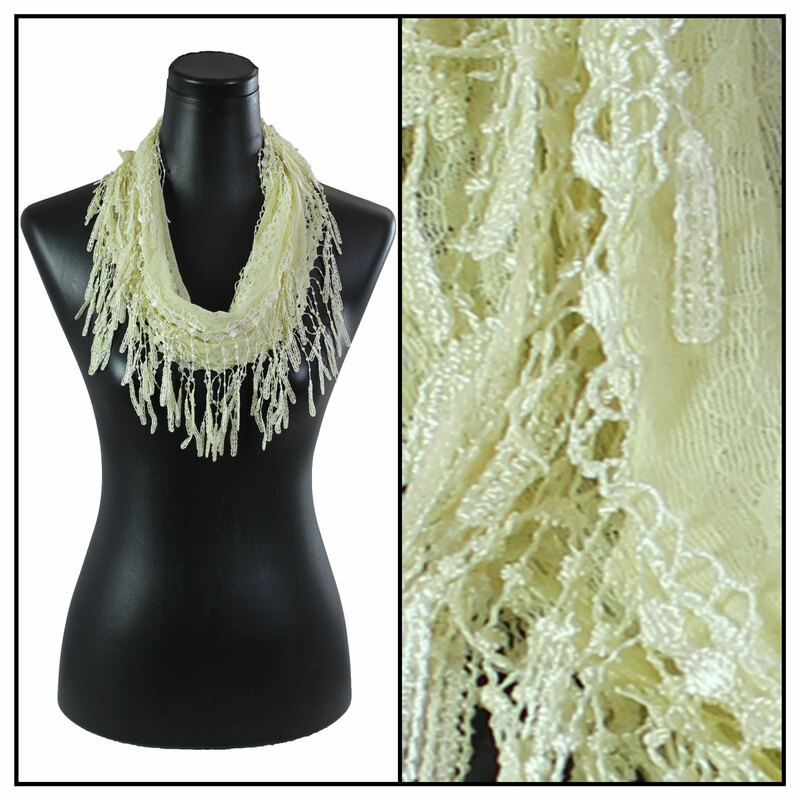 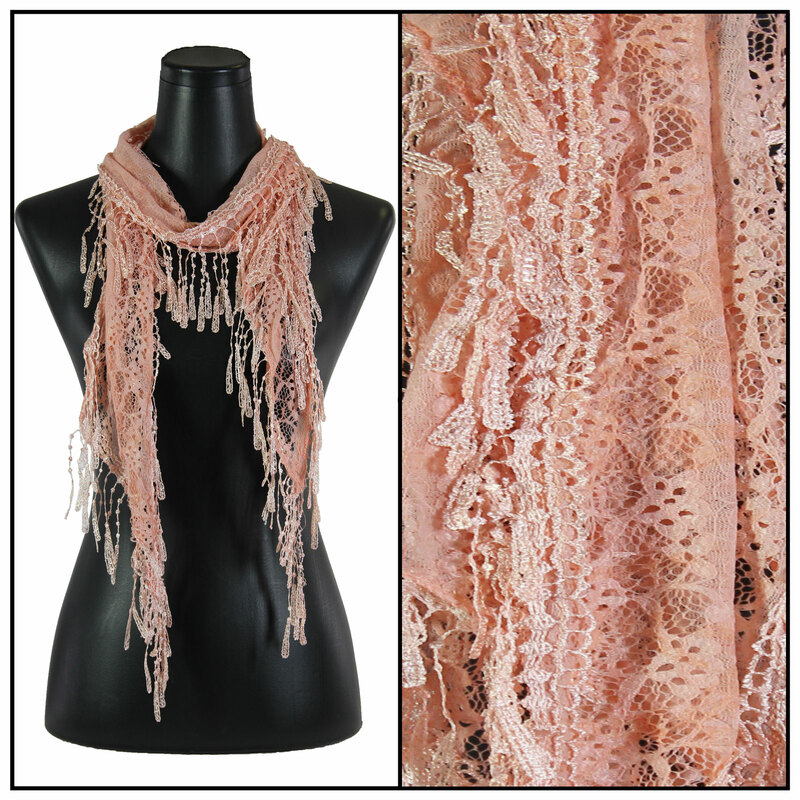 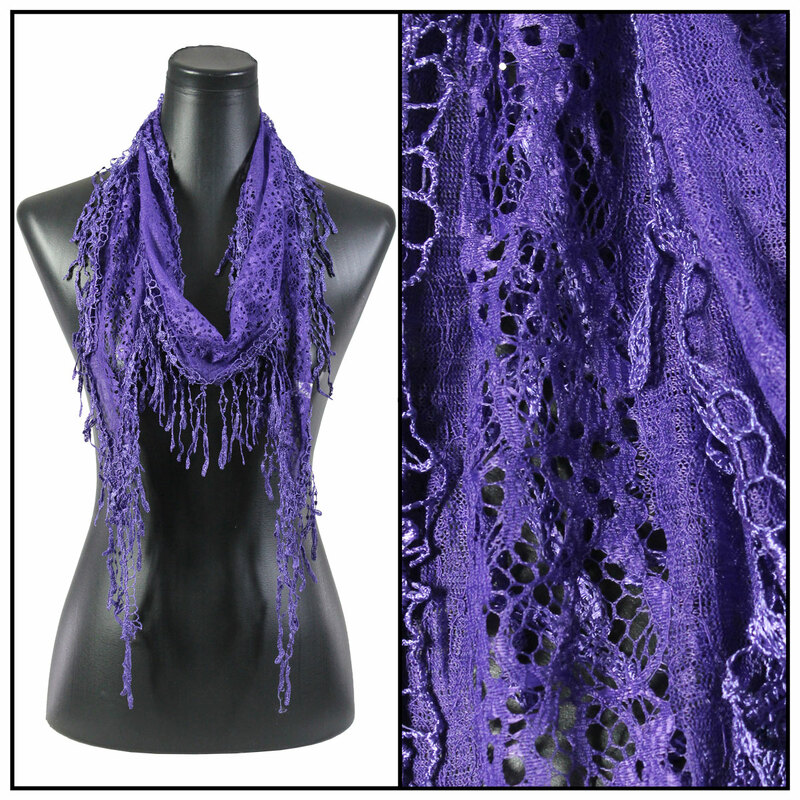 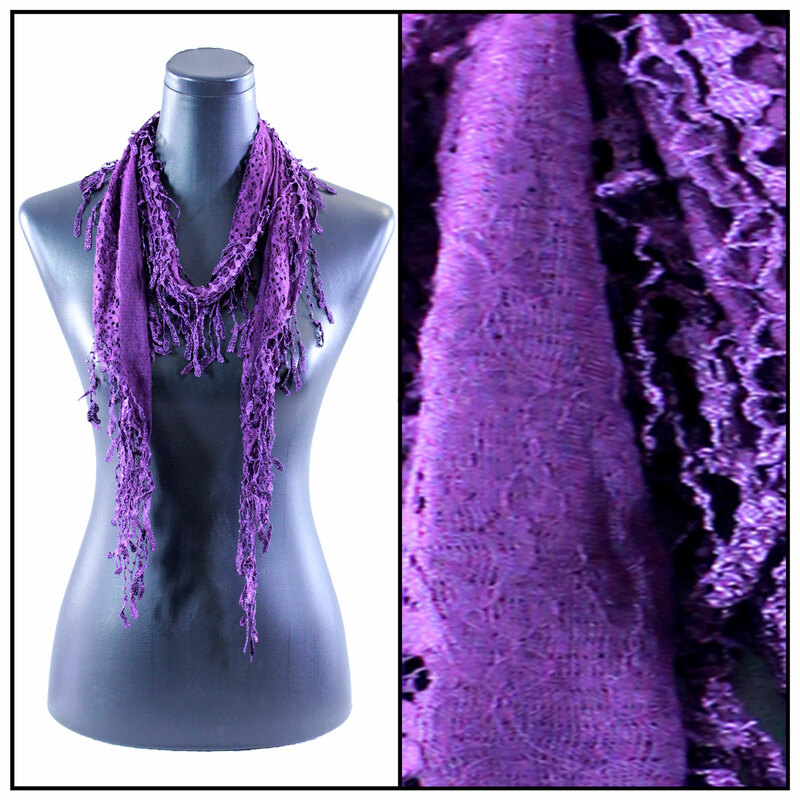 This delicate lace scarf trimmed with confetti ribbon is perfect dressed up or dressed down. 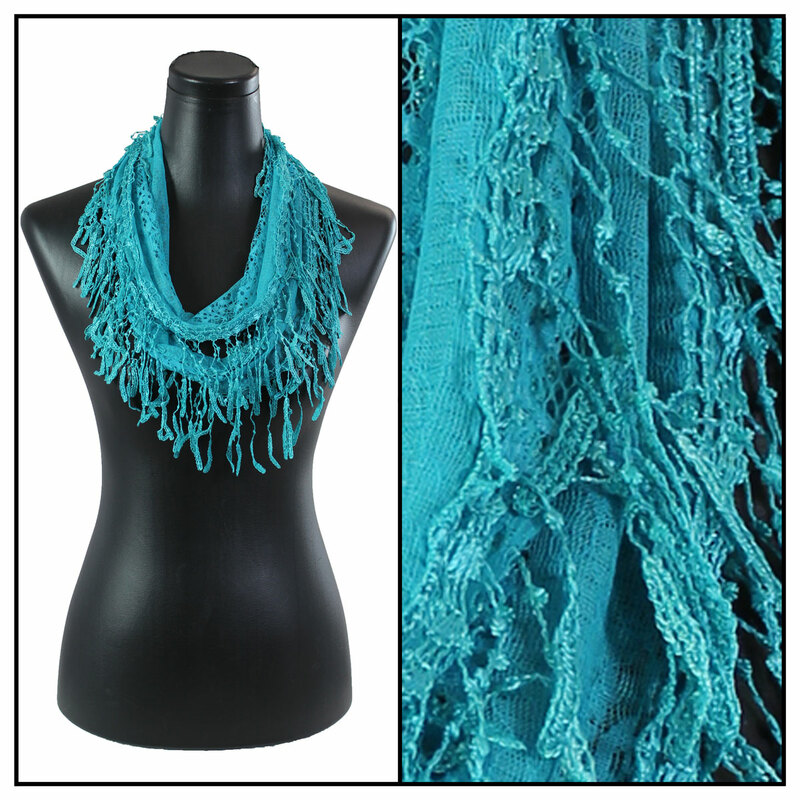 Pair it with your favorite dress or with jeans; either way, it looks fabulous! 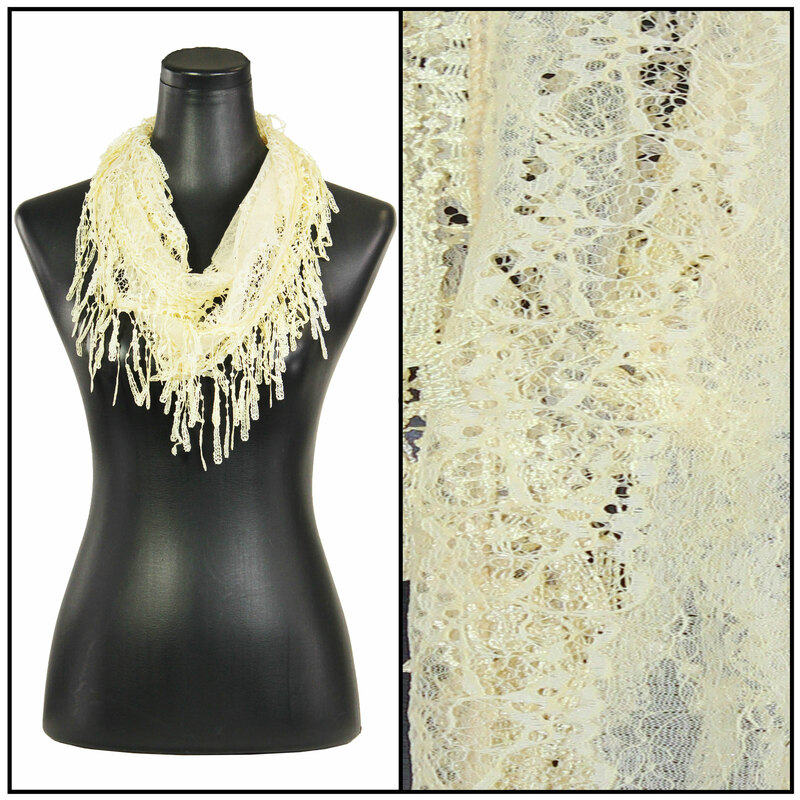 The triangle design adds versatility to this piece done in an oval lace weave trimmed with confetti.